For games at Pleasant Oaks (PO) or Pleasant Hill Middle School (MS), please use the PO / MS Fields page for field and parking locations. For games at College Park (CP) or Valley View (VV) fields, please use the CP / VV Fields page for field and parking locations. Directions between the fields can be found on either the PO / MS Fields page or the CP / VV Fields page. No Overnight parking at any of our facilities. Additionally, oversized vehicles cannot take up extra parking spaces. No Dogs or barbeques allowed at any of the Pleasant Hill fields during the tournement. ​​Teams must check in at the Pleasant Oaks fields at least one hour before their first game. Entry fee for the tournament is $525.00 per team. Registration must be paid in full prior to June 11 2018 or teams will forfiet spots to the waitlist. 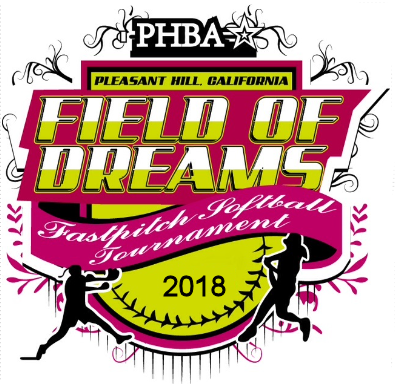 Pay by check to PHBA/Pleasant Hill Panthers, 1654 Barnett Circle, Pleasant Hill, CA 94523. Registration for the 2018 tournament has Closed. For questions, please contact Panthers Tournament Director Ron Cancilla at .